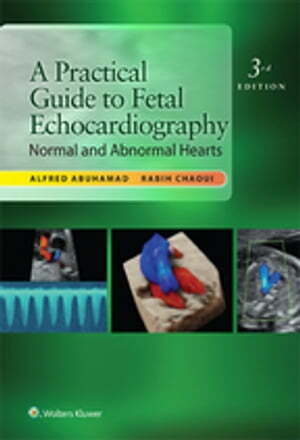 Collins Booksellers - A Practical Guide to Fetal Echocardiography by Alfred Z. Abuhamad & Rabih Chaoui, 9781496326409. Buy this book online. An easy-to-use and lavishly illustrated guide for those who perform fetal echocardiograms to obtain a complete evaluation of the normal and abnormal fetal heart. Chapters cover the normal fetal heart with focus on normal anatomy and offer detailed discussion of fetal cardiac malformations. Ultrasound images are shown in black and white and color; pathology images are shown in color. Each disorder is defined and discussed in terms of ultrasound findings (including associated cardiac/extracardiac findings), differential diagnosis and prognosis/outcome. Key points are given at the end of each discussion.